Draft: 2009, Toronto Blue Jays, 3rd rd. Graduated from Riverside Poly High School in Riverside, Calif. in 2009...hit .495 (46x93) his junior year...hit .404 (36x89) his senior season with six homers, 31 RBI and 22 steals...was recognized as a first-team All-CIF (California Interscholastic Federation) selection in 2009...the two-sport athlete was also named an All-County and All-CIF Southern Section wide receiver in his junior season...Drafted by the Toronto Blue Jays in the third round of the 2009 draft...signed by Blue Jays scout Rick Ingalls...before being drafted, was committed to play baseball at the University of Oregon...Was traded to Miami in the 12-player blockbuster deal that sent LHP Mark Buehrle, RHP Josh Johnson and IF Jose Reyes to Toronto on Nov. 19, 2012...Acquired by Houston from Miami prior to the 2014 trade deadline in a six-player deal...Was arbitration eligible for the third time in his career this offseason...signed to a one-year contract for 2019, avoiding the arbitration process on Jan. 11, 2019. Played in 103 games across four stints with the Astros in what was his sixth Major League season...ranked seventh among AL outfielders in defensive runs saved (11)...per Statcast, recorded 12 extra outs above what an average outfielder should record, the ninth-best mark in the Majors...posted a catch percentage added of 8%, the top mark among Major League outfielders (min. 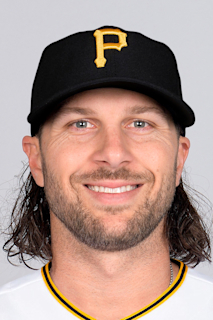 100 chances)...owned a 96% catch rate while holding an 88% expected catch rate...made his fourth-consecutive appearance on an Opening Day roster...was optioned to Triple A on May 15 and recalled to Houston on May 23...optioned to Triple A on July 7...recalled on July 10...optioned to Triple A on July 13 and was recalled on Aug. 1...was placed on the 10-day DL with left groin discomfort on Aug. 11...activated from the DL on Sept. 1... homered off Cole Hamels in a start in center field on Opening Day on March 29 at TEX...was his second career Opening Day start... homered in his second game of the season on March 31 at TEX...became the eighth player in franchise history to homer in each of his first two games of a season, and the first since Juan Centeno (2017)...made his only error of the season on June 29 at TB, snapping an 89-game errorless streak that dated back to July 23, 2017 at BAL...went 2x2 with a walk, a HBP and a solo homer in Houston's 1-0 win on June 28 at TB...became the first Astros player to homer in a 1-0 shutout on the road since Kevin Bass on Aug. 19, 1986 at PIT...went 0x3 in five games during the postseason...made one start (ALCS Game 5 vs. BOS)...was a defensive replacement in three games and a pinch-runner in one game...batted .284 (27x95) with five doubles, one triple, six homers, 16 RBI and a .931 OPS (.384 OBP/.547 SLG) over his final 55 games of the season...played in 19 total games at Triple A Fresno, which included two games on an injury rehab assignment... hit .342 (25x73) with eight doubles, two triples, four homers, 13 RBI and a 1.074 OPS (.402 OBP/.671 SLG) at the level...also played in two games on an injury rehab assignment at Double A Corpus Christi, going 1x6 (.167) with one RBI and a stolen base. Blasted a career-high 16 home runs in just 106 games in a season cut short due to a fractured right thumb he suffered in mid-September...also set career highs in runs (50), walks (20), OPS (.815), on-base percentage (.319) and slugging percentage (.496)...among all AL players with at least 250 plate appearances, finished 12th in at-bat to home run ratio (14.38, 230AB/16HR)...hit 13 of his home runs out of the ninth spot in the lineup...that led all nine-hole hitters in 2017, and marked the most by an AL player since Brandon Inge hit 14 homers while batting ninth for the 2006 Detroit Tigers...his power spike coincided with a dramatic increase in his fly ball rate...posted a 44.9% flyball rate in 2017...had posted a flyball rate above 40% just once in his career prior to 2017 (career rate is 36.7%)...also posted a career-high 28.7% hard-hit ball rate, and a career-best 18.2% soft contact rate...10 of his 16 homers had an estimated distance of 400-feet or greater...made 63 starts in center field and three starts in left field...became the first player in club history to homer in two games where he entered as a pinch-runner in a single season...became the ninth player in Major League history to do this, and the first since Mike Mordecai in 2003...gave him three games in his career where he entered as a pinch-runner before homering, which tied Gene Stephens for the most such games in MLB history...made his third consecutive Opening Day roster...placed on the 7-day concussion DL on April 24...activated from the DL on May 1...suffered a fractured right thumb while sliding into second base on Sept. 13 at LAA...underwent surgery on Sept. 15...was not placed on the DL but missed the remainder of the season, including the playoffs...hit a game-tying, 9th-inning solo homer off RHP Kelvin Herrera on April 10 vs. KC after entering as a defensive replacement in the 8th inning...was a 331-foot homer into the Crawford Boxes...marked the first time Herrera had ever given up a homer on a slider (had thrown 205 sliders in his career prior to that pitch)...threw out the potential game-tying run at home plate on May 11 at NYY after entering the game as a defensive replacement in left field...was his first outfield assist of the season...recorded his first-career multi-homer game on May 16 at MIA against his former club...set a single-game career-high for RBI (4)...hit a 450-foot homer off RHP Tom Koehler, and a 415-foot homer off RHP Nick Wittgren...hit a go-ahead, 8thinning homer on May 26 vs. DET after entering as a pinch-runner...per Elias, became the first player since Drew Stubbs in 2016 to homer after entering as a pinch-runner...homered in his first plate appearance on May 27 vs. BAL, giving him homers in consecutive plate appearances...marked the first time since 2015 that he homered in consecutive games...hit back-to-back homers with Derek Fisher on June 14 vs. TEX...then went back-to-back with George Springer on June 18 vs. BOS, hitting a 454-foot homer off LHP David Price (longest of the season)...went 3x4 with two homers and a career-high five RBI on July 31 vs. TB...was his second career multi-homer game...per Elias, became the sixth player since RBI became a stat in 1920 to record four runs and five RBI out of the ninth spot in the order...joined Jackie Bradley Jr. (2015), Micah Owings (2007), Ramon Vazquez (2007), Luis Rivas (2002) and Wes Ferrell (1931)...played in two games with Double A Corpus Christi on a rehab assignment for his concussion... went 3x7 with one double, one homer and two RBI. Completed his second consecutive full season in the Major Leagues, playing in 118 games and making 85 starts (60 in center field, 22 in left field, three in right field)...recorded a career-high nine outfield assists...posted a .995 fielding percentage, as he made just one error in 213 total chances...ranked third among AL outfielders in fielding percentage (min. 750 innings)...also ranked seventh among AL outfielders in defensive runs saved (18)... recorded a career-high 18 doubles...made his second career and second consecutive Opening Day roster...had a brief stint at Triple A, as he was optioned on April 24 and recalled May on 5...missed four games with a right groin injury from Aug. 12-15...had his best month of the season in July, as he hit .326 (15x46) with an .819 OPS (.340 OBP/.478 SLG) in 20 games...recorded a hit in nine consecutive home games from July 27-Aug. 26, batting .310 (9x29) during the run...was a career-long streak...hit .185 (5x27) during his seven-game stint at Triple A. Set career highs in nearly every oﬀensive category after playing in a career-high 133 games (previously 65 in 2014)...made 101 starts in the outﬁeld for Houston, including 84 in center ﬁeld, nine in left ﬁeld and eight in right ﬁeld...ﬁnished eighth in the AL in stolen bases with 24...went 24-for-33 (72.7%) in steal attempts...ranked sixth among AL outﬁelders with 13 defensive runs saved...had eight outﬁeld assists, all of which came in center ﬁeld...ranked tied for ﬁfth among AL center ﬁelders in the category...became the seventh player in Astros history to record eight outﬁeld assists in center ﬁeld despite playing less than 100 games at the position, joining Jimmy Wynn (11 in 1968), Billy Hatcher (10 in 1987), Ron Davis (9 in 1966), Steve Finley (9 in 1994), Carlos Beltran (8 in 2004) and Brian Hunter (8 in 1995)...the Astros went 29-7 in games in which he scored a run...made his debut on an Opening Day roster and started in center ﬁeld on Opening Day vs.CLE...placed on the 15-day Disabled List on June 19 with a left hamstring strain...activated from the DL on July 5...hit .379 (22x58) with four doubles, two triples, two homers, 10 RBI, eight steals and a 1.043 OPS (.422OBP/.621 SLG) in 19 games in April...among AL hitters during the month, ranked tied for second in steals, third in average and fourth in OPS...completed an unassissted double play on May 7 at LAA after catching a ﬂy ball hit by Matt Joyce and running to ﬁrst base to double up Albert Pujols, who had rounded second base...per Elias, became the ﬁrst center ﬁelder in club history to complete an unassissted double play...was also just the third unassissted double play completed by an MLB center ﬁelder over the last 23 seasons: also Seattle's Mike Cameron (May 23, 2003) and Tampa Bay's Desmond Jennings (April 20, 2013)...recorded eight putouts in center ﬁeld on July 24 vs. KC...marked his second career game with eight putouts in center ﬁeld (also Aug. 8, 2014 vs. TEX)...became the seventh player in club history to record multiple games with at least eight putouts in center ﬁeld, joining Willy Taveras (2g), Carl Everett (2g), Steve Finley (2g), Tony Scott (2g),Cesar Cedeno (11g) and Jimmy Wynn (2g)...homered in three straight games with a plate appearance from Sept. 1-7...in 24 games in September, hit .267 (12x45) with two doubles, three homers, 10 RBI, ﬁve steals and an .881 OPS (.370 OBP/.511 SLG)...played in three games with Triple A Fresno on a rehab assignment from July 1-3...went 2x12 (.167) with two doubles, three RBI and three steals...recorded three steals, a double, three RBI and two walks in his ﬁnal rehab game...made his postseason debut, playing in four total games and making two starts in center ﬁeld (ALDS Games 1 and 2)...went 3x7 (.429) with a double in his two starts in the ALDS against Kansas City...also played 1.0 inning in center ﬁeld in the AL Wild Card Game at NYY, and pinch-ran in Game 4 of the ALDS vs. KC. The 23-year-old prospect played in 51 games with the Astros after coming to the organization from the Marlins as part of the RHP Jarred Cosart trade...the outfielder was regarded as one of Miami's top prospects prior to the trade as he was ranked by MLB.com as the No. 65 overall prospect entering 2014...Baseball America had him as the Marlins No. 3 prospect prior to the season and No. 79 prospect overall...played in 14 games with Miami before being traded to Houston...hit .272 (47x173) with eight doubles, three homers and 19 RBI in his 51 games as an Astro...had 14 multi-hit games...started the season with Triple A New Orleans in the Marlins organization...had three Major League stints with the Marlins, with his most recent recall coming on July 28...had a 13-game stint from June 16-28, and was up with the club from July 4-5 but did not appear in a game...made 47 starts for Houston (29 in RF, 16 in CF and 2 in LF)...recorded a career-high four hits on Aug. 11 vs. MIN (all singles)...was his third multi-hit game in four contests...hit .545 (6x11) with a double, home run and RBI in three games vs. Minnesota this season...hit a game winning two-run double to break a 3-3 tie in the 10th inning on Aug. 16 at BOS...hit .277 (95x343) with 16 doubles, 40 RBI and 10 home runs in 89 games at Triple A New Orleans...at the time of his recall, ranked tied for fourth in the Pacific Coast League in steals (17)...named the Marlins May 2014 Minor League Player of the Month while with Triple A New Orleans...batted .347 (35x101) with three doubles, two triples, three homers and 13 RBI in May...had a 16-game hitting streak with New Orleans from May 19-June 3...batted .379 (22x58) with three doubles, a triple, home run and seven RBI in that span. Season debut was delayed until April 28 due to a broken bone in left hand. Appeared in three games for Single-A Jupiter before promotion to Double-A Jacksonville on May 1... Had contract selected from Jacksonville on July 23 and made Major League debut that night at Colorado (0x4), starting in center field... At time of call-up, was batting .344 (22x64) in 17 games in July for Suns, but set Club record by opening Major League career 0x14... Recorded first hit on July 26 vs. Pittsburgh (single in sixth inning)... Had first career home run (off Jenrry Mejia) and GW RBI on July 31 against the Mets... On May 30 at Pensacola, went 3x5 with a double, two home runs and nine RBI. Both home runs were grand slams, the first two of his career. The nine RBI tied a Southern League record for a single game... Had season-long hitting streak of nine games from June 13-26 (.333/13x39). Entered the season ranked as the No. 67 prospect in baseball by Baseball America...split his season between Class A Advanced Dunedin and Double A New Hampshire, combining to hit .249 (122x489) with 66 runs scored, 29 doubles, 10 triples, eight home runs and 50 RBI in 120 games...opened the season with Dunedin and made 63 of 65 starts in center field...also made two starts as the designated hitter...tallied a season-high three hits on April 19 vs. Brevard County...posted three-hit games on April 26 and 27 at Lakeland, May 9 vs. Fort Myers and June 10 vs. Clearwater...earned Florida State League Player of the Week honors for April 23- 29, after going 11x26 (.423) with six runs scored, two doubles, three home runs and eight RBI in six games... transferred to New Hampshire on July 5 in his first career action at the Double A level...of his first eight games with a hit, seven were two-hit efforts...finished the season with hits in nine of his last 10 games, batting .264 (16x44) with three doubles, two triples, one home run and six RBI...named the Blue Jays No. 2 prospect after the season by Baseball America...also named as the 'Best Defensive Outfielder' and 'Best Outfield Arm' by the same publication...appeared in 19 games with Salt River in Arizona Fall League, posting a .314 average (22x70) with nine runs scored, three doubles, two triples, one home run and eight RBI. Spent the entire season in Class A Lansing...batted .320 (148x462) with 27 doubles and 14 homers in 118 games...posted the fourthhighest average among Blue Jays farmhands in 2011, earning Midseason and Postseason Midwest League All-Star honors...named an Organization All-Star by MiLB.com and Class A All-Star by Baseball America. The 2009 draft pick appeared in 69 games in his first professional season...started with the GCL Blue Jays and batted .287 (35x122) with an .832 OPS (.373 OBP/.459 SLG)...finished the season in Class A Lansing where he batted .220 (28x127) in 34 games. September 1, 2018 Houston Astros activated CF Jake Marisnick from the 10-day injured list. August 29, 2018 Houston Astros sent CF Jake Marisnick on a rehab assignment to Corpus Christi Hooks. August 24, 2018 Houston Astros sent CF Jake Marisnick on a rehab assignment to Fresno Grizzlies. August 11, 2018 Houston Astros placed CF Jake Marisnick on the 10-day disabled list. Left groin discomfort. August 1, 2018 Houston Astros recalled CF Jake Marisnick from Fresno Grizzlies. July 14, 2018 Houston Astros optioned CF Jake Marisnick to Fresno Grizzlies. July 10, 2018 Houston Astros recalled Jake Marisnick from Fresno Grizzlies. July 7, 2018 Houston Astros optioned CF Jake Marisnick to Fresno Grizzlies. May 23, 2018 Houston Astros recalled Jake Marisnick from Fresno Grizzlies. May 16, 2018 Houston Astros optioned CF Jake Marisnick to Fresno Grizzlies. November 2, 2017 Jake Marisnick roster status changed by Houston Astros. October 5, 2017 Houston Astros reassigned CF Jake Marisnick to the minor leagues. May 1, 2017 Houston Astros reassigned CF Jake Marisnick to the minor leagues. April 29, 2017 Houston Astros sent CF Jake Marisnick on a rehab assignment to Corpus Christi Hooks. April 25, 2017 Houston Astros placed CF Jake Marisnick on the 7-day disabled list retroactive to April 24, 2017. Mild concussion. May 5, 2016 Houston Astros recalled CF Jake Marisnick from Fresno Grizzlies. April 25, 2016 Houston Astros optioned CF Jake Marisnick to Fresno Grizzlies. July 5, 2015 Jake Marisnick roster status changed by Houston Astros. July 1, 2015 Houston Astros sent CF Jake Marisnick on a rehab assignment to Fresno Grizzlies. July 30, 2014 Miami Marlins optioned CF Jake Marisnick to New Orleans Zephyrs. July 28, 2014 Miami Marlins recalled Jake Marisnick from New Orleans Zephyrs. July 6, 2014 Miami Marlins optioned CF Jake Marisnick to New Orleans Zephyrs. July 4, 2014 Miami Marlins recalled Jake Marisnick from New Orleans Zephyrs. June 29, 2014 Miami Marlins optioned CF Jake Marisnick to New Orleans Zephyrs. June 16, 2014 Miami Marlins recalled Jake Marisnick from New Orleans Zephyrs. March 27, 2014 Miami Marlins optioned CF Jake Marisnick to New Orleans Zephyrs. July 23, 2013 Miami Marlins selected the contract of Jake Marisnick from Jacksonville Suns. May 1, 2013 Jake Marisnick assigned to Jacksonville Suns from Jupiter Hammerheads. April 28, 2013 Jake Marisnick roster status changed by Jupiter Hammerheads. April 17, 2013 Jupiter Hammerheads placed CF Jake Marisnick on the 7-day disabled list. April 16, 2013 CF Jake Marisnick assigned to Jupiter Hammerheads from Jacksonville Suns. April 4, 2013 Jake Marisnick roster status changed by Jacksonville Suns. November 20, 2012 CF Jake Marisnick assigned to Jacksonville Suns. July 5, 2012 OF Jake Marisnick assigned to New Hampshire Fisher Cats from Dunedin Blue Jays. June 8, 2012 Jake Marisnick roster status changed by Dunedin Blue Jays. May 29, 2012 Dunedin Blue Jays placed OF Jake Marisnick on the 7-day disabled list. April 4, 2012 OF Jake Marisnick assigned to Dunedin Blue Jays from Lansing Lugnuts. March 7, 2012 OF Jake Marisnick assigned to Toronto Blue Jays. June 1, 2011 Lansing Lugnuts activated CF Jake Marisnick from the 7-day disabled list. May 23, 2011 Lansing Lugnuts placed CF Jake Marisnick on the 7-day disabled list retroactive to May 21, 2011. March 2, 2011 OF Jake Marisnick assigned to Toronto Blue Jays. August 1, 2010 CF Jake Marisnick assigned to Lansing Lugnuts from GCL Blue Jays. August 17, 2009 Toronto Blue Jays signed OF Jake Marisnick.